Kuau is located just east of Paia town on Maui’s north shore, Kuau is a beach enclave centered around Kuau Bay on the North Shore of Maui. Kuau is home middle class and affluent interested in having easy access to the beach and central Maui where major stores, hospitals, Costco and the Kahului International Airport are located. Paia town has a rich history. After the completion of the Hamakua Ditch brought water to east Maui, Alexander and Baldwin developed large tracts of land with sugar cane. The sugar plantation built a mill in 1880 in Upper Paia to process the cane and a community developed around it to support the industry. Upper Paia had several plantation camps to house workers clustered around the mill and a company store. Lower Paia had independent shops, theaters and businesses that catered to the community. Paia was a bigtime community in the 1930’s and 1940’s with a population of over 10,000 and Paia School was the largest on Maui. In the 1950’s when Kahului was developed plantation workers were lured away from the area with the dream of home ownership. After a merger with a rival company in 1948, the mill was shut down and the camps were disassembled. Paia town has some of the old buildings re-purposed into eclectic boutiques, shops, and restaurants. Strong winds and high winter surf make this area a world class destination for surfing, kite boarding, and wind surfing. People are drawn to the North Shore of Maui for an alternative beach lifestyle that is a laid back, away from the hustle and bustle of touristy areas on the Leeward side of Maui. Kuau and Paia are vibrant beachside communities on the windward side of Maui. Homes here include one-of-kind trophy homes, beach front estates, small beach cottages on large parcels, affordable starter homes and charming single family homes. The most desiranle neighborhoods in this area are located between Hana Highway and the sapphire blue Pacific Ocean and include Kuau Point and Kuau Bayview. Here you will find custom homes, some on large parcels or ocean front or beach front offering spectacular ocean views. Luxury real estate for sale in this area often features extensive hardscapes with pools, spas for indoor-outdoor living and entertaining. Residents who don’t participate in the extensive outdoor activities that Kuau and Paia offer can still enjoy watching windsurfers, kite boarders and surfers from ocean front homes at Kuau Point. Kuau Bay View is a fine upscale neighborhood established in 1996-97 of 92 single family residences walking distance to historic Paia town with an active homeowner’s association maintains landscaped common areas including a park and maintains minimum standards. Homes here single story or two stories with various floor plans, but with exteriors in a similar contemporary style to give the area a cohesive identity. Boasting spectacular scenery, fabulous weather, a plethora of beaches and beach activities makes this a desirable place to live. This area draws an eclectic fan base people including hippies, artists, surfers and the unpretentious affluent who all mix and mingle as they enjoy what this area has to offer. Kuau is walking distance to Paia town with boutiques, art galleries, the best natural health market on Maui: Mana Foods, and restaurants offering dining and live entertainment. Fine Dining is walking distance at Mama’s Fish House a few blocks away. 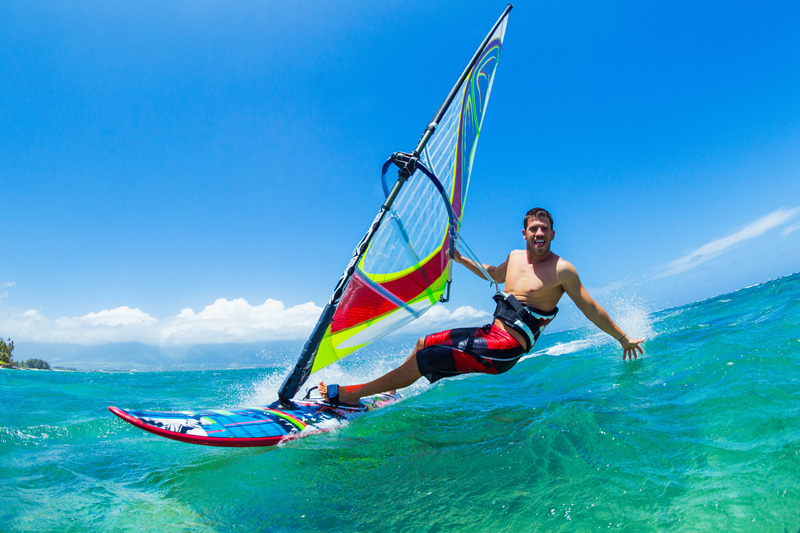 Hookipa Beach Park is the most famous as the windsurfing capital of the world and is a short drive away offering a great spot to surf, windsurf or kite surf. Baldwin Beach Park is a short drive with a long sandy beach that is perfect for walks, jogging and swimming as wind surfing and kite boarding are not allowed here. 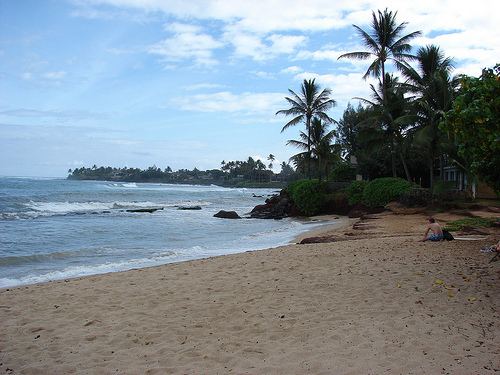 One end of Baldwin Beach is known as Baby beach because it is sheltered and good for keiki. Baldwin Cove is a seasonal beach that disappears with winter high surf. Paia Secret Beach is a nudist beach. Paia Bay Beach is great for boogie boarding in the winter. Residents of Kuau are a short drive from the Maui Country Club with a new clubhouse, golf course, six tennis courts, swimming pool, fitness center, restaurant and ballroom. It is a 30-45 minute drive to Kihei where there are many beaches with calmer waters for snorkeling, swimming and stand-up paddle boarding. Find out more about North Shore Maui Luxury homes. Offered by: Emerald Club Realty, Inc.